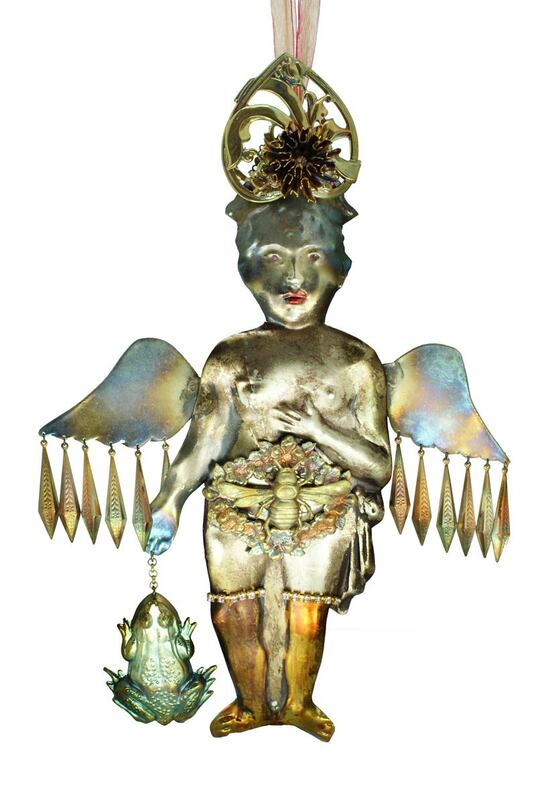 A personal series of Milagro tin angels exclusively created by Basia Zarzycka. 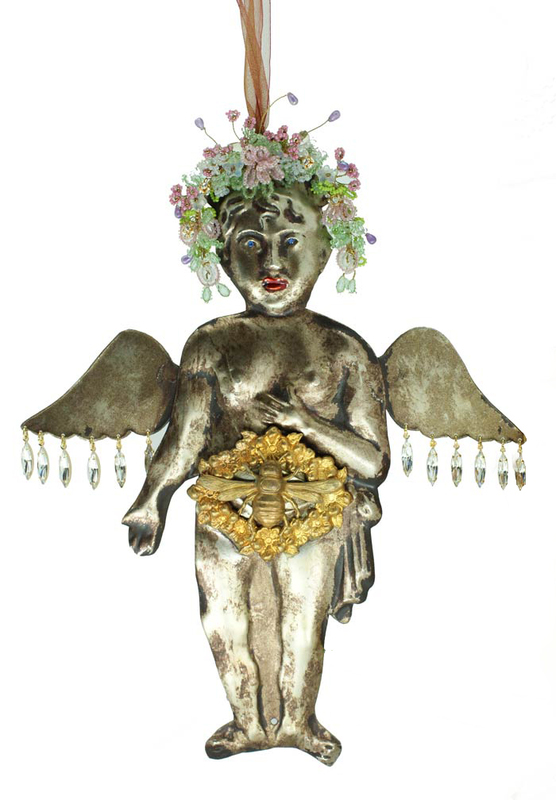 "Milagro tin Angels adorned with beautiful vintage embossed tin drops and Swarovski crystals. 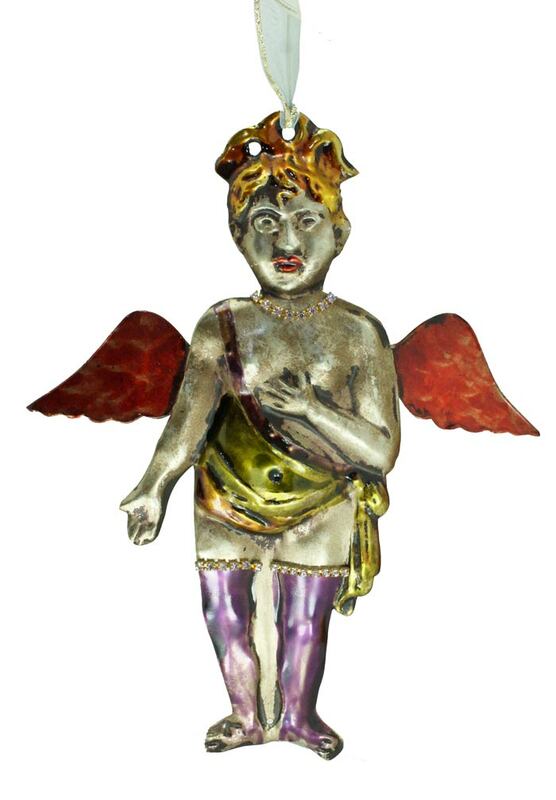 I could enamel each piece, particularly the stockings and corsets with adorable translucent paints. Each piece is unique and decorated with posies , which I create from the tiniest hand-tooled flowers in miniature with velvet and silk, and other tin accessories such as frogs and crosses. I paint on the Milagro angel's lips, always in red ... my favourite, most favourite colour. 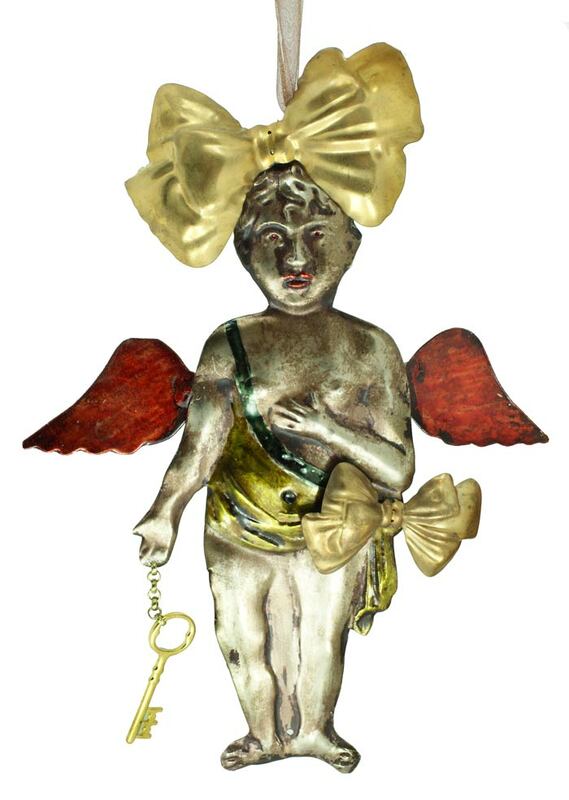 Each piece is signed by the Basia Zarzycka label and these very special Milagro angels will look fantastic hanging in your boudoire or hanging from a forest branch." Milagro is defined as the Spanish for 'Miracle" There is a huge, inventive range of items that Spanish and Southern American people use to protect them and for healing purposes. They are a wonderful gift to give to a friend who is ill who you wish to get well. 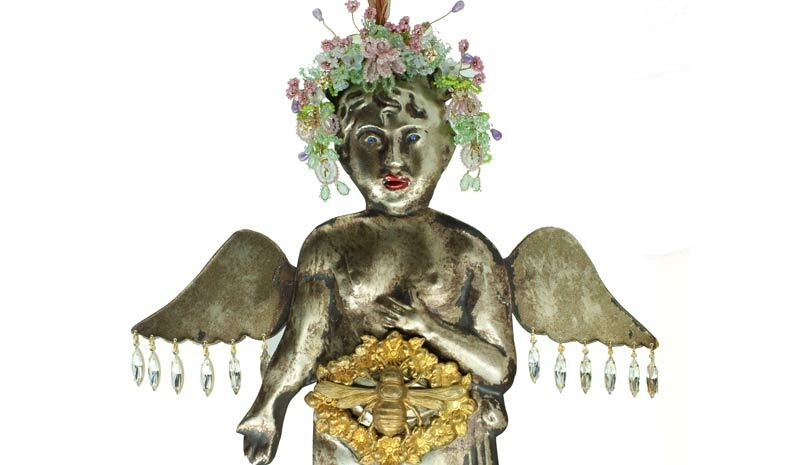 Basia's creativity shows its usual unrestrained magic in how she decorates these gorgeous vintage tin angels using found vintage components from her collection and embellishments with translucent enamel paints. The concept of healing is close to her heart and she truly believes in the power of prayer and human spirit that will empower these angels when given as a gift of for personal wellbeing.